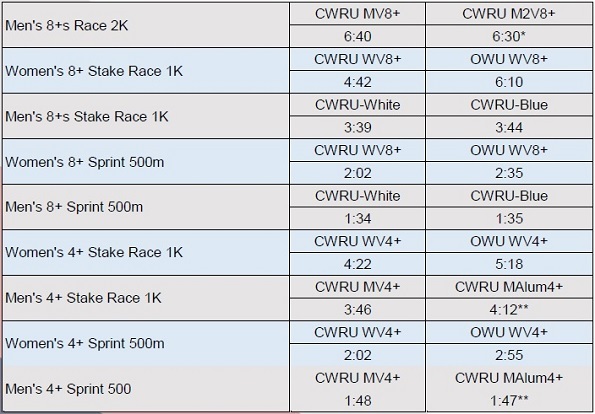 This year's racing was held in conjunction with the Home Schools race, which you can find results here. After the racing for Home Schools where the men's team raced a 2km piece and a couple sprints, everyone came back to the dock to re-group. Then two fours launch - one student, one alumni - for the alumni race. The alumni line up was Tom Hudak (b), Spencer McClung (2), Luke Fakult (3) and Kevin Cronin (s) with Emily Schnittman coxing. Later that evening everyone met up at the Flat Iron Cafe for dinner and a few presentations. Photos here. 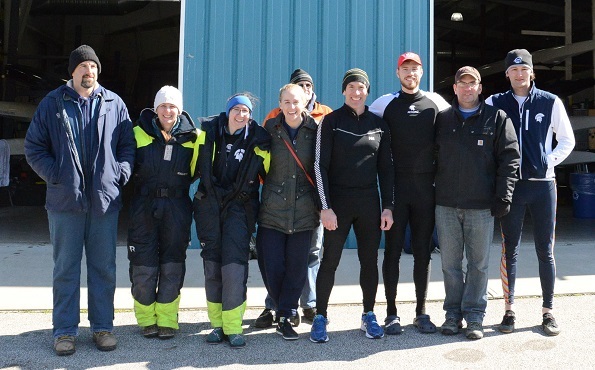 2019 Alumni Regatta group photo. Below are the combined results from the Home Schools and Alumni Regattas.